Timely Justice Act: Florida’s horrifying plan to make it quicker and easier to execute its death row inmates. Florida’s horrifying plan to make it quicker and easier to execute its death row inmates. 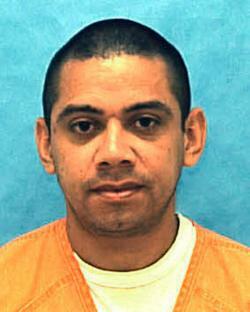 On Wednesday night in Florida, a man named William Van Poyck was executed by lethal injection. Van Poyck was convicted of killing a prison guard, Fred Griffis, in 1987. He always said that it was his accomplice who pulled the trigger, and last month, that man’s wife came forward for the first time to say that was true. But the Florida courts turned down many appeals from Van Poyck over the years—twice by a vote of 4 to 3. And this week, the U.S. Supreme Court denied him a last-minute reprieve. Van Poyck’s execution signals that the number of inmates being executed in Florida is rising. There are 405 people on death row in the state. After a period of one or two executions per year, or none at all, Florida Gov. Rick Scott has signed 11 death warrants since coming into office in January 2011, six of them in the last few months. That’s not enough for the Florida legislature. It recently became the first in the country to pass a bill requiring the pace of executions to speed up. It’s called the Timely Justice Act, and it sets a deadline of 30 days for the governor to sign a death warrant once an inmate’s appeals become final—that is, after at least one round of state and federal appeals, and after a review by the governor for clemency. And once the governor signs the warrant, the Timely Justice Act says the execution must occur within 180 days. Scott signed the bill into law late Friday. This is a particularly troubling plan given the circumstances in Florida. Since the mid-1970s, the state has executed 77 people. Florida has also exonerated 24 people who’ve been sentenced to die—the most of any state. In other words, for every three inmates executed, one is set free. What’s the problem in Florida—why do they convict and sentence to die so many innocent people? It’s the only state in the country in which a simple majority of the jury—a vote of 7 to 5—can send a man or woman to the electric chair or lethal injection. Every other state but one requires a unanimous vote. (The other exception to that rule, Alabama, requires 10 votes). Another huge problem in Florida: the low quality of defense lawyers, especially at trial. Florida Supreme Court Justice Raoul Cantero has said that “some of the worst lawyering” he has ever seen has been in death penalty cases, where some counsel “have little or no experience.” In 2006, the American Bar Association reviewed Florida’s death penalty system, questioned its fairness and accuracy, and made 11 recommendations for reform. The Florida Supreme Court and the Florida bar have also urged a comprehensive review. None of this has happened, as Andrew Cohen points out in the Atlantic. The Timely Justice Act also puts Florida out of step with the rest of the country. Nationally, the number of executions has been falling. California and North Carolina haven’t executed anyone since 2006. Illinois, Connecticut, and Maryland recently repealed their death penalties. Even Texas, the nation’s leader in executions, will have to slow down to fix problems with its law, according to a recent Supreme Court ruling. I’d argue that having the highest rate of exonerations in the country might also erode the public’s confidence in the state’s system. And in fact, it’s not true that Florida is particularly slow to execute—the state’s average waiting time of 13.2 years is less than the national average of 14.8 years. Bradley insists that the Timely Justice Act won’t make it quicker and easier to execute someone who is innocent. “What it does is it puts the condemned and his or her lawyers on notice that they need to, if they have claims of innocence, they need to gather them and present them to a competent court of law, and do so in a timely manner,” he said. But there are a couple of problems with that argument. One is that evidence of innocence can surface years after a conviction. Courts move slowly on these cases for a reason: death is different, as the U.S. Supreme Court has said many times. Take the case of Juan Melendez. He was on Florida’s death row for 16 years before a diligent defense investigator discovered a tape in the case files—a tape of another man confessing to the murder that no one had presented to the jury. Before the tape came out, the Florida Supreme Court rejected his appeals three times. If the Timely Justice Act had been in effect at the time, Melendez might easily have been executed. I found four more people like that when I looked up the records of Florida’s 24 exonerees. These men spent between 13 and 21 years on death row. It took time and a lot of work to undo the mistakes that initially doomed them. And those mistakes were often made by their own lawyers. William Van Poyck’s trial lawyer did no investigation before the trial, digging up nothing that would give the jury a reason to spare his client’s life. And the lawyer on his first appeal reportedly admitted to being a cocaine addict, had previously been disbarred, and never spoke to Van Poyck or answered any of his letters. Then there’s the case of Clemente Aguirre. He’s the man who may well become Florida’s 25th exoneree—and his case shows how prone to error Florida’s death penalty system still is. In 2006, Aguirre was accused of murdering two of his neighbors, 47-year-old Cheryl Williams and her mother. The women lived next door to him in a trailer park. The crime was bloody and brutal: Williams was stabbed 129 times. Aguirre was a prep cook from Honduras who was in the United States illegally. At first, when police questioned him about the murders, Aguirre said he knew nothing. Then he went back to the police, on his own, and told them he’d discovered the bodies late on the night of the killings, when he went to Williams’ trailer to ask if she had any beer. (Williams had been dating one of Aguirre’s roommates.) Aguirre led the police to clothing and shoes he’d been wearing that night, which had the victims’ blood on it. He explained that when he opened the door of the trailer, he found Williams’ body and turned it over to see if she had a pulse. He hadn’t reported the killings, Aguirre said, because he was afraid he’d be deported. Aguirre was right. When his lawyers on appeal finally had DNA testing done, it showed no matches for Aguirre’s blood at the crime scene—and eight fresh bloodstains that matched the DNA profile of Cheryl Williams’ daughter. At a hearing last month, Aguirre’s lawyers presented this new evidence, along with the testimony of a friend of the daughter, who says the daughter told her that “demons are in her head and caused her to kill her family.” A police video also shows the daughter saying, “My family died from me.” Aguirre is now waiting for a ruling from the judge who heard the new evidence. In theory, the Timely Justice Act tries to improve the quality of representation for death penalty defendants by providing more funding for it. But if you read the bill, you find that only about $400,000 has been allocated to reopen one office for defense lawyers in the northern part of the state. And this office won’t handle trials or even the first appeal. They come in only at the last stage.